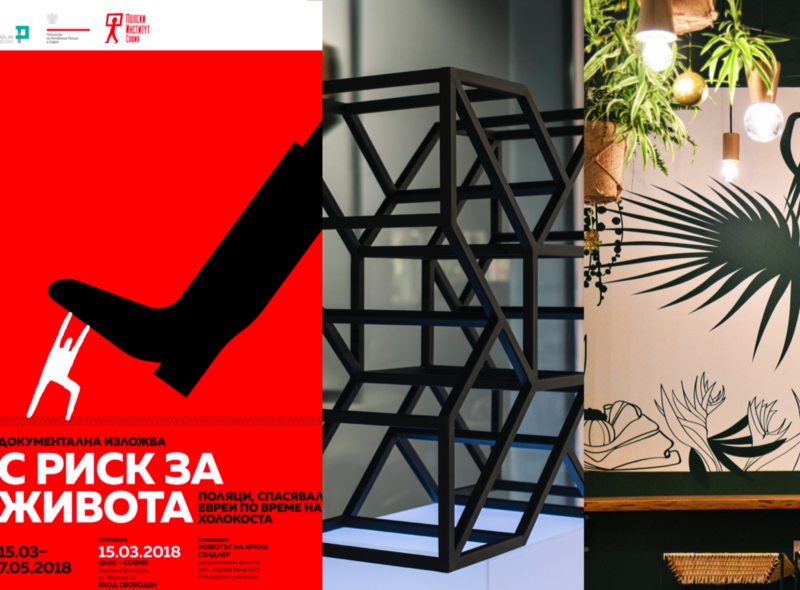 On December 11th at 6:30 pm we are waiting for you at the fourth edition of the series of live meetings dedicated to topical projects by Bulgarian designers – MELBA LIVE. Again, we welcome three guests who come from different areas of design to present their story of an important and exciting project. Rositsa Raleva, illustrator. One of the most popular and prominent contemporary Bulgarian illustrators, she is associated with such projects as the successful and favorite t-shirt brand DUSHMAN, a participant in Compot Team, artist of the awardwinning short film Traveling Country and a bunch of others, will now talk about the book The Moon Room, her cooperation with the Polish Institute and the posters she prepares for them. 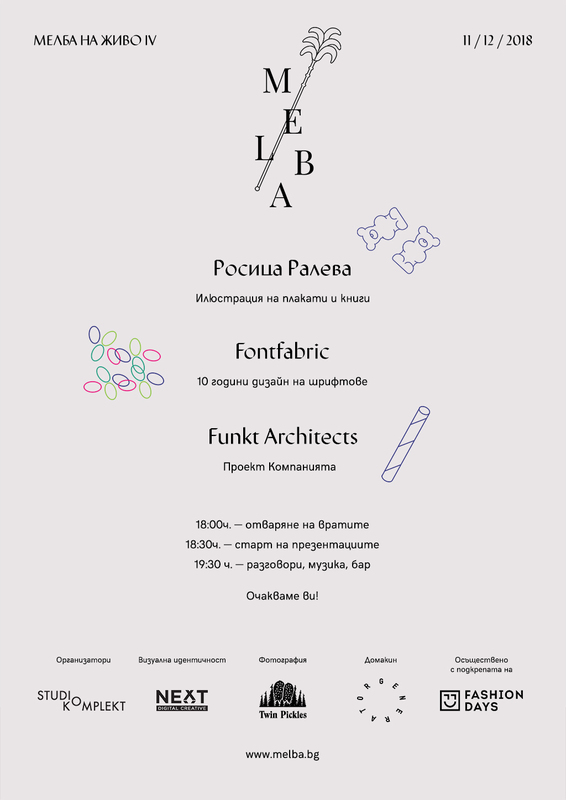 Svetoslav Simov, founder of Fontfabric Type Foundry fonts studio, is a guest on the occasion of the 10th anniversary of the company. Arch. Maria Baleva from FUNKT ARCHITECTS, studio for architecture and design – will tell us about one of their newest projects – the new place for brunch The Company. MELBA LIVE is a part of the Studio Komplekt design events Melba Design Initiatives. The meetings are a continuation of the project launched in 2017 by Studio Komplekt in partnership with NEXT-DC and the Capital Culture Program dynamic archive for Bulgarian design MELBA. MELBA LIVE presents contemporary and up-to-date remarkable design projects from local heroes of design. They share their experience and realization on a project, focusing on the ideas, details and processes behind each of them. Exhaustive, frank and different, these visual conversations are a source of inspiration for everyone. MELBA is organized together with Fashion Days, the shopping destination for all lovers of fashion and good style.